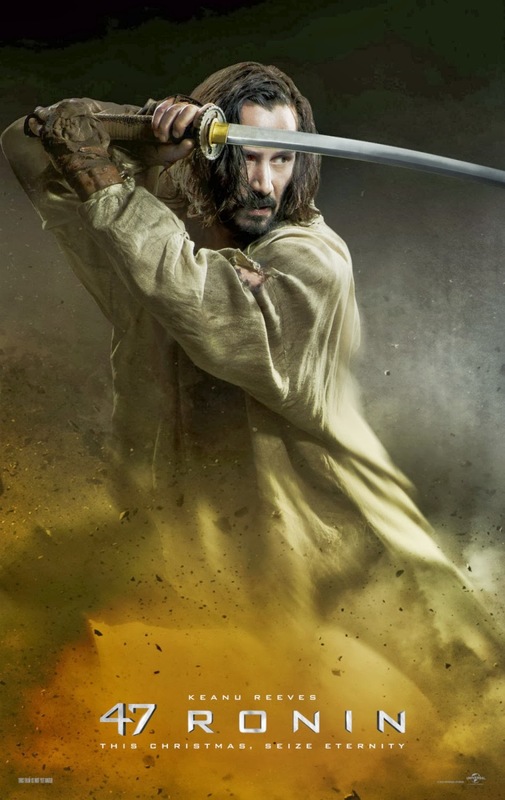 47 Ronin is a Hollywood-ised version of one of the most famous 'revenge is best served cold stories'. It has magic, a typical unneeded romantic sub-plot and an American jammed into a film about master-less Japanese samurai in Feudal Japan, all very out of place. Come with me on a trip down memory lane; in 2005 Keanu Reeves starred in a little comic book movie named Constantine, based on the Hellblazer comic printed by Vertigo. 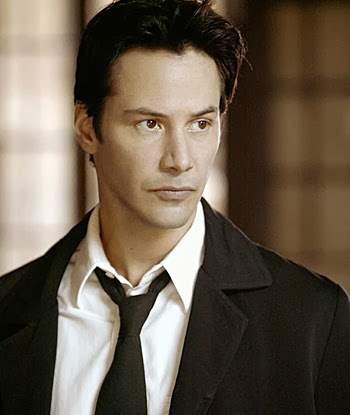 In the film, Keanu played an black haired, American, chain-smoking, suit wearing exorcist named John Constantine. The reason I bring this up is the fact that the movie Constantine was absolutely NOTHING like the blonde, Liverpudlian man dressed as a hobo from the comics. Okay, maybe the chain-smoking was right. But this film did just that again, but with a well known - and celebrated - historical story. In this Keanu plays a demon child found by a Feudal lord in a forest, who saves him from his Samurai when they try to kill him for being said demon. Naturally, as Kai grows up he's shunned by everyone but the Lord's daughter, as pretty much most rejects in Hollywood movies do. Among the shoe-horned in American actor and magic is the awful romantic sub-plot. The good Lord's daughter pities this mysterious outsider, and takes care of him at every chance she gets. True to form in this type of story, when her father dies she becomes a helpless mess who is to be married to Kira, her father's killer, a witch mounts her during the night for some reason that I never quite saw the merit to. Good old Hollywood, always with a forward thinking view of relationships! 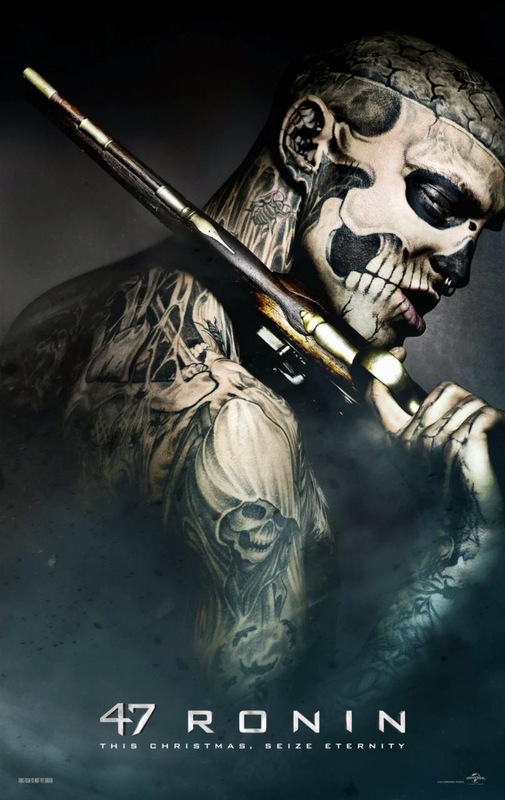 The movie did have a couple redeeming factors, one of which being the awesome Rick Genest up there. In nearly all the posters of the movie, Genest is in them despite getting MAX a minute screen time with approximately 5 words sadly. The other is this film is BEAUTIFUL. I saw it in 3D and I felt the glasses were much to dark, so I took them off and was blown away at the colours of the Japanese landscape and scenery. For the rest of the film I only wore them when subtitles were on screen so I could read them, other than that there really wasn't much of a difference. I was thoroughly disappointed in this, it replaced a perfect story with stupid rewrites. It would be entertaining enough if you didn't mind an out place western actor among all Japanese actors and an abysmal romance, but sadly I just couldn't. If you're going to see this, do yourself a favour and watch it in 2D, the scenery and colours are dazzling and worth the money to see it alone. My mam really wants to see this so I'll prob end up going to see it with her, such a pity it's getting crap reviews! Have a little heart that I wouldn't have been as harsh on 47 Ronin as Aaron is here.